A unique and personal wedding venue that you can make your own. Planning your wedding and looking for something different? 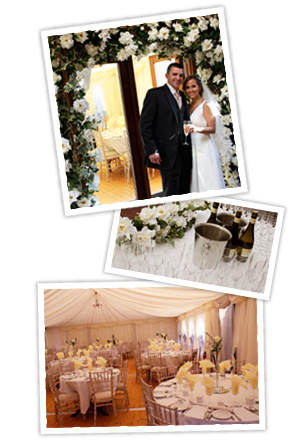 Newgrange Lodge provides a rustic and intimate venue that can cater for small weddings of up to 60 people indoors and marquee weddings up to 150 people. Basic wedding packages include marquee hire, a selection of wedding menus, bar facility, exclusive use of the lodge facilities and accommodation. For smaller, more intimate weddings we transform the downstairs lounge into a beautiful dining hall that can cater for up to 60 people. Please call us directly at +353 41 988 2478 for further details and make an appointment to meet and discuss your requirements for your big day.